FAUSTIAN BARGAIN: It was very wise for the Golden Globes to hand Oprah an award last night; instead of discussing the embarrassment of the first major awards show in the wake of Harvey Weinstein and Pervnado, the MSM gets to dangle the possibility of Oprah running for the presidency to coastal elite audiences exhausted from nearly two years of Trump Derangement Syndrome. Not to mention, Oprah versus Trump would be ratings gold for the news media, which was in its glory making Obama happen in 2007 and 2008. However, if this is indeed the high visibility launching point for Oprah 2020; associating herself with the aftermath of Pervnado seems like very poor personal branding: “Actress: Weinstein used Oprah and Naomi[Campbell] to seduce me,” the New York Post reported in late November 28, 2017. 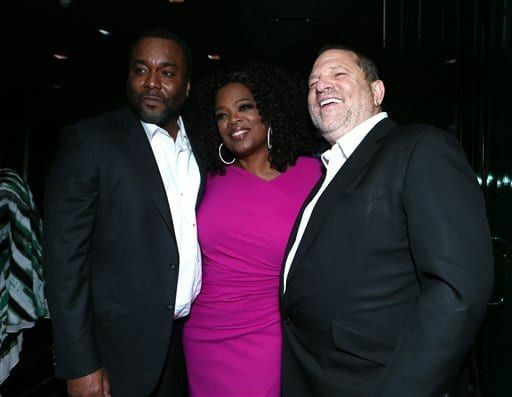 And Weinstein and Oprah were quite chummy, as this photo of the two attending the 19th Annual Critics’ Choice Movie Awards back in January 16 of 2014 attests. It quickly made the rounds on Twitter last night. Oprah co-starred in the 2013 film The Butler, produced by Bob and Harvey Weinstein, whose company distributed the movie.